Although cosmetic dentistry in Tucson has come a long way, no one necessarily looks forward to having a dental crown placed if they don’t have to. You can avoid unnecessary restorations by taking the proper preventative measures and caring for your natural teeth now. Keep reading if you would like a brief overview of the benefits of wearing sports guards. Contact sports like ice hockey, football, and lacrosse may be more than games to you; they may be a way of life. Since winners never quit, consider being more proactive about protecting your teeth while you are on the court, ice, turf, or field. Talk to your dentist about a sports guard so you can ensure that your oral health lasts as long as your Hall of Fame career. Whether you have just had a crown placed or an implant installed, you are probably quite happy with your new dental restoration. You will want to take extra care of your restorations to keep them in functioning condition, especially while they heal. Fortunately you can do this with sports guards. Wearing your sports guard can help to protect your implants, veneers, and crowns just like it helps to protect your natural teeth. This can prevent you from having to go back to your dentist and have the restoration fixed. Store-bought sports guards may be bulky, uncomfortable, ineffective, or just plain ill fitting. Fortunately your dentist can fit you for your own personal mouth guard that is built to fit comfortably in your mouth. These custom sports guards will protect your teeth and restorations without distracting you or taking your mind out of the game. Are you interested in wearing sports guards to protect your teeth and dental restorations? Contact John Carson, DDS or visit his website. Dr. Carson is a dentist in Tucson who is committed to providing high quality cosmetic dentistry procedures. Feel free to call his office at (520) 514-7203 to find out more about what he can do for you today. Oral cancer is a serious disease, but there are always treatment options. The earlier your Tucson dentist catches on to signs of the condition, the better your outlook will be. Continue on to find out what you should know about oral cancer. As is the case with other types of cancer, certain habits and characteristics can increase your risk for oral cancer. The dangers of tobacco use have been made very clear, and oral cancer is one potential result of this habit. It is important to realize that it is not just cigarette smoke that contributes to oral cancer; smokeless tobacco, pipes, and cigars can also cause your oral health to decline. Although regular consumption of small amounts of alcohol is considered safe, alcohol abuse is another factor that can increase your risk for oral cancer. Be sure to protect your lips from ultraviolet rays when you spend time in the sun. It is important to see your dentist on a regular basis so he or she can screen you for diseases like oral cancer. This is especially true because it may be difficult to detect symptoms on your own. Your dentist may find white or red patches in your mouth that indicate oral cancer. Other symptoms include loose teeth, the sensation of something being in your throat, and stiffness of the jaw. If you experience any of these symptoms, be sure to meet with your dentist as soon as possible. When it comes to oral cancer treatment, there are a few different options. It is important to work on a treatment plan with your dentist right away. Would you like to learn more about oral cancer? Contact John Carson, DDS, or visit his website. Dr. Carson is proud to offer dental crowns, root canals, and other cosmetic dentistry treatments in Tucson. Please feel free to call Dr. Carson’s office at (520) 514-7203 for more information today. Teeth whitening in Tucson can be an excellent choice if you want to brighten up your smile in a quick and easy way. People whiten their teeth for an array of different reasons, yet not all of them maintain their treatments the way they should. Whether you prefer over the counter whitening kits or professional whitening at the dental office, continue reading for your guide to teeth whitening. Everyone has their own tastes, styles, and priorities, and some people simply like to sport nice and bright pearly whites. In this case, teeth whitening treatments can offer a cosmetic boost that enhances your confidence and gives you a reason to smile. Other people choose to whiten their teeth in order to look more professional; a public speaker would rather you focus on the words he or she is saying rather than the discoloration of his or her teeth. Teeth whitening treatments can be quick and easy, but they do not last forever. The better you maintain them, however, the longer they will last. Think about the habits that may have led your teeth to become discolored in the first place. Smoking cigarettes and using tobacco products can turn your teeth yellow, while drinking wine too frequently might stain them red. Try to refrain from leaving food residue from strongly colored berries on your teeth for too long, and consider drinking your coffee through a straw. There are a few different ways in which you can whiten your teeth; your dentist may suggest a home whitening kit or a professional cleaning. When used properly, both types of teeth whitening treatments should provide the results you are looking for. Remember to maintain them, however, and see your dentist if you have any concerns. 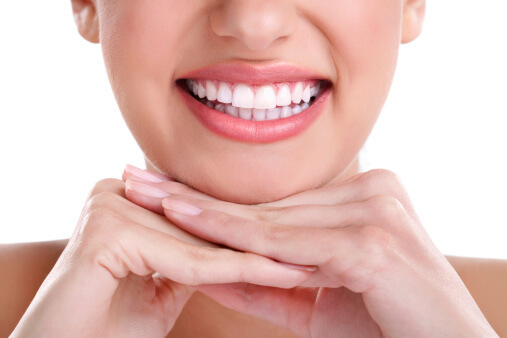 For more information about teeth whitening treatment, please feel free to call John Carson, DDS at (520) 514-7203. In addition to teeth whitening in Tucson, Dr. Carson also provides dental crowns and other dental treatment. If you live in the area, stop in and see us or visit our website today. Cosmetic dentistry in Tucson is known for its ability to restore the appearance of your teeth, but did you know that it could enhance your oral health as well? Keep reading for a few top tips for preventing gum disease. You can promote oral health and protect yourself from all kinds of diseases and complications by practicing proper dental hygiene. Brush your teeth twice each day with a soft-bristled toothbrush and fluoride toothpaste. You should also floss between your teeth each day; it is not necessarily important whether you floss before or after you brush your teeth. Eat a well balanced diet and try to avoid snacking in between meals. Drinking plenty of water throughout the day can help to remove bacteria and food debris from your mouth and the surfaces of your teeth, promoting oral health. 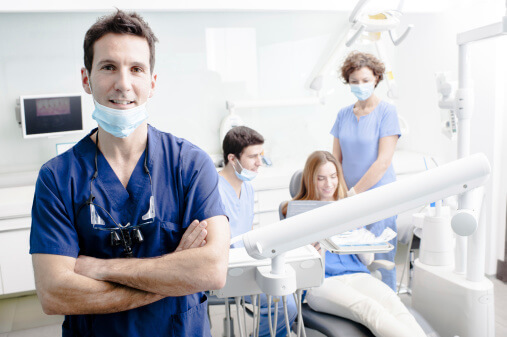 It is important to keep your dental appointments and see your dentist on a regular basis. He or she can provide professional teeth cleanings as well as screen you for a range of conditions. If you are at risk for gum disease, however, you might want to visit with a periodontist as well. Your periodontist specializes in gum disease and can expertly detect early signs of the condition. If you are worried that you may already be experiencing gum disease, call your periodontist and set up an appointment. Some people experience an increased risk for gum disease due to genetics, hormones, or other uncontrollable factors. Others, however, are at greater risk for gum disease because of their habits. If you want to prevent gum disease, be sure to stop using tobacco products. Even smokeless tobacco can increase your risk for this condition. It also helps to modify your diet and switch medications if necessary. For more tips on preventing gum disease, feel free to call John Carson, DDS at (520) 514-7203. Dr. Carson is a Tucson dentist that provides a range of services including dental crowns, and teeth whitening. You can learn much more about his services by visiting his website today. 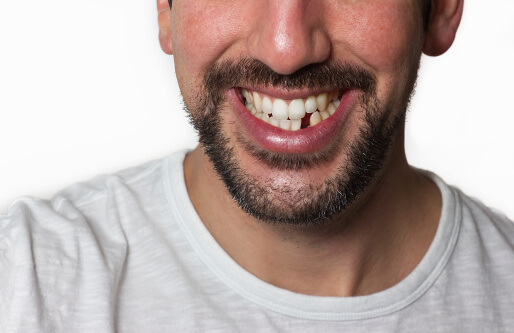 Missing teeth can cause all sorts of problems, even if you are just missing one. Fortunately your Tucson dentist is prepared to replace your missing teeth and bring your smile back to life. 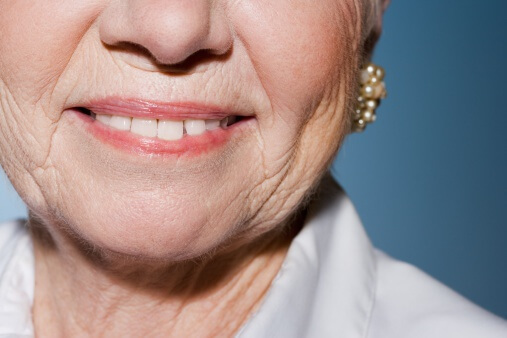 Read on to find out why you shouldn’t settle for a smile with missing teeth. It is no secret that missing teeth will affect your appearance, especially if you are missing some of your more visible teeth. This can be distracting and it can gradually wear away at your confidence. Fortunately your dentist can offer various different types of treatments in order to restore your smile. Dental implants can be made to look just like your natural teeth, so no one will know that they are prosthetic. This treatment can help to maintain the shape of your face in addition to filling out your smile. A missing tooth may be distracting from an aesthetic standpoint, but it can also be hazardous to your oral health. Teeth rely on their neighbors to keep them in place; when one of your teeth is removed, a gap opens up. The teeth on either side of this gap may eventually gravitate into the gap, which can lead to crooked and misaligned teeth. A missing tooth will also affect your jawbone. The roots of your natural teeth anchor into your jawbone. When one is removed, that area starts to lose bone mass. A dental implant can reverse this process. Your dentist can provide many different types of treatment options for your missing teeth. You may be best suited for dental implants, bridges, dentures, or another treatment. You and your dentist can discuss your personal situation and decide on the proper treatment for your needs. If you would like to fill in your missing teeth and enjoy a full smile again, contact John Carson, DDS or visit our website. Our cosmetic dentistry office offers exceptional teeth whitening, implants, fillings, and dental crowns in Tucson. You can find out more about our services by calling us at (520) 514-7203 today.